The multi-colored Dirty Bird targets are designed with a coating that flakes off upon bullet impact to reveal chartreuse, designating a good hit, or white, indicating a poor hit. New Dirty Bird Silhouette III targets from Birchwood Casey offer shooters a challenging and realistic training aid. The hostage scenario style targets are great for military and law enforcement training. The multi-colored Dirty Bird targets are designed with a coating that flakes off upon bullet impact to reveal chartreuse, designating a good hit, or white, indicating a poor hit. The targets are constructed of a durable, flexible plastic with a non-adhesive back that allows shooters to affix them to a variety of surfaces. They are easy to write notes on and can be taken down and saved for future reference. Dirty Bird Silhouette III targets measure 12"x18" and come in packs of 8, 100 or 500. The CZ 75 Shadow Target is a competition ready IPSC Production Division pistol. Starting with a trigger job by world champion Angus Hobdell's CZ Custom Shop, this version of the SP-01 Shadow gets the competition treatment including a TRT rear sight, cocobolo grips, competition springs, and a CZ Custom stainless guide rod. The CZ 75 Shadow Target is a competition ready IPSC Production Division pistol. 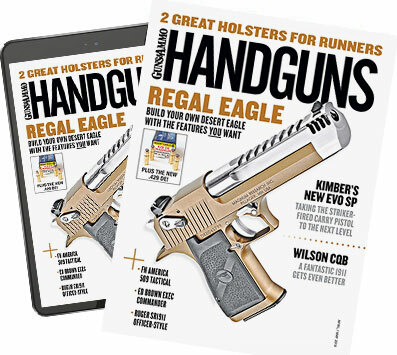 Now in its 7th year, the Hodgdon Annual Manual features well in excess of 5,000 rifle and pistol loads. Now in its 7th year, the Hodgdon Annual Manual is so much more than any ordinary reloading manual, it features well in excess of 5,000 rifle and pistol loads, information on 56 Hodgdon, IMR and Winchester powders, 44 cartridge updates, brand new data for the 6.5 Grendel and 6.5 Creedmore, propellant burn rate and usage charts, thought provoking articles by top gun writers such as Layne Simpson and Jim Carmichel and additional topics too numerous to mention. Features include a loaded chamber indicator, "Strike Two" trigger system, trigger safety and manual safety and a short, crisp DA/SA trigger pull. Now the popular Taurus SLIM series comes in .380 ACP and .40 cal. for even more carry options. This dynamic semi-auto gives nothing away under the lightest T-shirts or polos with its remarkably lean, lightweight designâ€”but it still steps up with big firepower, remarkable features and top-end performance. Those features include a loaded chamber indicator, "Strike Two" trigger system, trigger safety and manual safety and a short, crisp DA/SA trigger pull. Besides added capacity, the Raging Judge features the famous red "Raging Bull" backstrap for added cushioning. If you thought the Taurus Judge line couldn't get any bigger, you have to see this. The new Raging Judge Magnum shoots the .454 Casull round in addition to delivering the same popular .45 Colt/.410-Bore combo revolver of the original Judge models, and packs a giant 6-round cylinder. Besides added capacity, the Raging Judge features the famous red "Raging Bull" backstrap for added cushioning and will be available in either 3-inch or 6-inch barrels. The Compact Point features premium optical quality with a fine, bright illuminated red dot for extremely fast target acquisition. Available in two different mounting versions, it is a perfect fit on most hunting rifles, AR-style rifles, shotguns and handguns. The Compact Point's lens element, which is approximately 25% larger than the average reflex sight, provides a wide field of view, allowing for fast and accurate alignment on the target with both eyes open. And the image is crisp, clear and reflection-free thanks to the high-quality Zeiss optics and LotuTec coating. than the average reflex sight, provides a wide field of view, allowing for fast and accurate alignment on the target with both eyes open. The function button, located on the front of the Compact Point, turns the illumination on and off, and also controls the intensity level of the red dot that has minimal subtension of 3.60 inches at 100 yards (3.5 MOA). Once activated, the brightness of the illuminated dot is changed one increment each time the button is pressed. There are five brightness levels and when the maximum intensity is reached, the intensity then begins to decrease each time the button is pressed. Pressing and holding the button turns the device on and off, and the Compact Point will automatically shut off after four hours of continuous operation if the function button has not been touched. Once reactivated, the most recently selected illumination intensity is recalled. The Compact Point is waterproof and runs on two Lithium 3 V batteries. If batteries need to be replaced, this can be done quickly and easily without removing the sight from the firearm. The Compact Point also comes with a special multi-function key for vertical and horizontal adjustments, which allows precise zeroing of the sight. To ensure maximum recoil resistance, the sight features a locking mechanism for the set zero position.